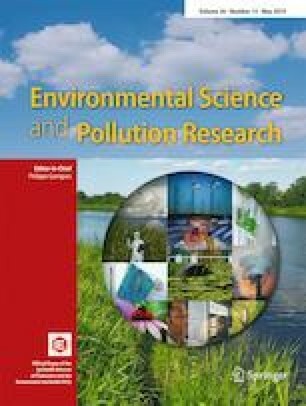 Total (all forms of inorganic and organic) concentrations of mercury (Hg) and selenium (Se) were measured in dorsal muscle and eggs of wild fishes from two shallow lakes in China: Tai Lake (Ch: Taihu; TL) and Baiyangdian Lake (BYDL). Hazard quotients (HQs) were calculated by dividing concentrations of Se or Hg in muscle or eggs of fishes by threshold concentrations for effects expressed as tissue residue toxicity reference values (TR-TRVs). Concentrations of Hg in whole bodies of fishes were estimated by concentrations in muscle. Based on concentrations of Hg in whole body, HQs for fishes in TL and BYDL were less than 1.0, which suggests little to moderate potential for effects on these fishes and unaccepted adverse effects of Hg are unexpected for adult fishes. HQs of Se in muscle of common carp from TL were closed to 1.0, and 27% of HQs based on concentrations of Hg in eggs of fishes from BYDL exceeded 1.0. Potential hazard due to Hg on common carp in TL and reproductive effects of Se on fishes from BYDL exhibited need for concern. Ratios of molar concentrations of Se to Hg were greater than 1.0. Thus, there might be some protective effects of Se on effects of Hg on fishes in TL and BYDL. This work was supported by the Program of Higher Level Talents of Inner Mongolia University, Inner Mongolia Natural Science Fund (No. 2014BS0402 and 2018MS4011), and National Natural Science Foundation of China (No. 41807343). Prof. Giesy was supported by the “High Level Foreign Experts” program (#GDT20143200016) funded by the State Administration of Foreign Experts Affairs, the P.R. China to Nanjing University, and the Einstein Professor Program of the Chinese Academy of Sciences. He was also supported by the Canada Research Chair program and a Distinguished Visiting Professorship in the School of Biological Sciences of the University of Hong Kong and Baylor University.